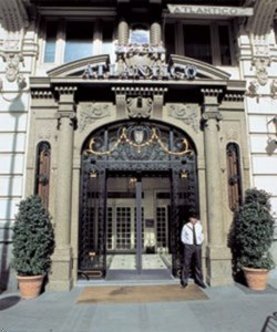 The Best Western Hotel Atlantico is in the very heart of the business, artistic, cultural and commercial centre of Madrid. The hotel has 109 noise-proof rooms which feature satellite television, coffee maker and iron and ironing board, individually decorated and with a complete bathroom. There is a shuttle bus from the airport to the Best Western Hotel Atlantico. The bus runs 09:00, 11:00, 13:00, 16:00, 17:30. From 1920, in the City centre of Madrid. Award of excellence 2006, and Best Quality Award 2007.